Spring is in the A I R at Summit Fair!!! One of the best ways to transition your wardrobe into spring is to add accessories that help you style or re-style pieces in your wardrobe! 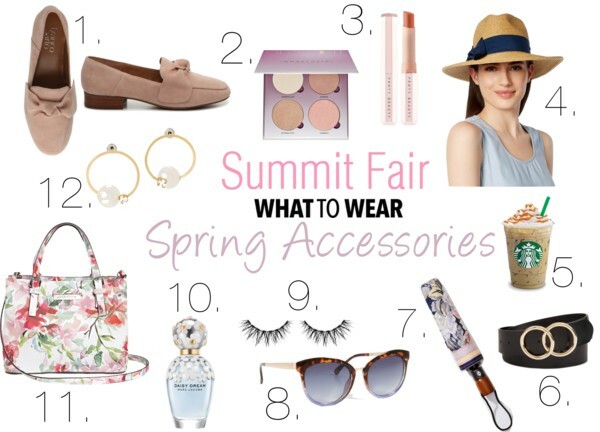 Floral printed handbags and umbrellas, fresh beauty products, new sunnies, and a go-to wide brim straw hat are making my "must have" list this spring! Oh that Frappuccino looks delicious! I have the ABH glow kit and it's so gorgeous! Yes, frapps make the perfect accessory :) Also, I need to pick up that ABH glow kit - it's a major must have for spring beauty!